Acknowledging and communicating worldwide, positive youth initiatives that contribute to combating human trafficking. We carry out these activities by organizing youth events and linking them with the relevant associations — organizing youth conferences, closed workshops, and public events. Strong social media expertise and reach. Private and institutional donors, who help us back this youth community. 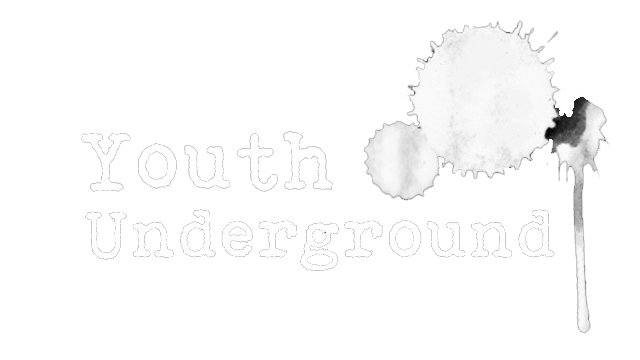 Youth Underground is the voice of the youth for a world without human trafficking. It is a global education, information-sharing and referral platform, a knowledge and youth hub, to showcase initiatives against human trafficking by the youth, as advocates of change and defenders of human rights across age and frontier. Through youth education about human trafficking, Youth Underground is a sounding board for the youth to express themselves, speak out freely about human trafficking, share the information they learn, and share their news and campaigns from their regions of the world. Why the youth? Because they are not only the prime victims of human trafficking but are also those who speak out against this illicit trade and influence their peers as well as adults, namely teachers and parents. Why education? Because this is where the prevention of human trafficking begins. Today, child slavery is at an all-time high. An estimated 5.5 million children around the world are losing their childhood to human trafficking. The youth are victims of different types of trafficking from an early age (often as young as five years old), such as forced labor, sexual exploitation, domestic servitude, as soldiers, as drug dealers, begging, and in forced marriages (child brides). But the youth are also activists and change-makers. This is not only a two-way learning experience but also an opportunity to hear what young people have to say, and take their thoughts and concerns on board. While Youth Underground’s objective is to raise awareness about human trafficking in a manner that young people can understand, it is also intended for all ages to share correct information about human trafficking and to highlight the value of a human life. It is essential to shine a like on human trafficking and break down the barriers of taboo, so that this trade becomes part of the everyday narrative of people of all ages around the world. Interested in showcasing what you’re doing? Spreading your word? Sharing your creativity? Seeking advice? Finding answers? Then Youth Underground is the right platform for YOU!